Offset Ratcheting Metric Box Wrench Set (5-Piece) Without the right tools, the list of to-do tasks at home can seem daunting. 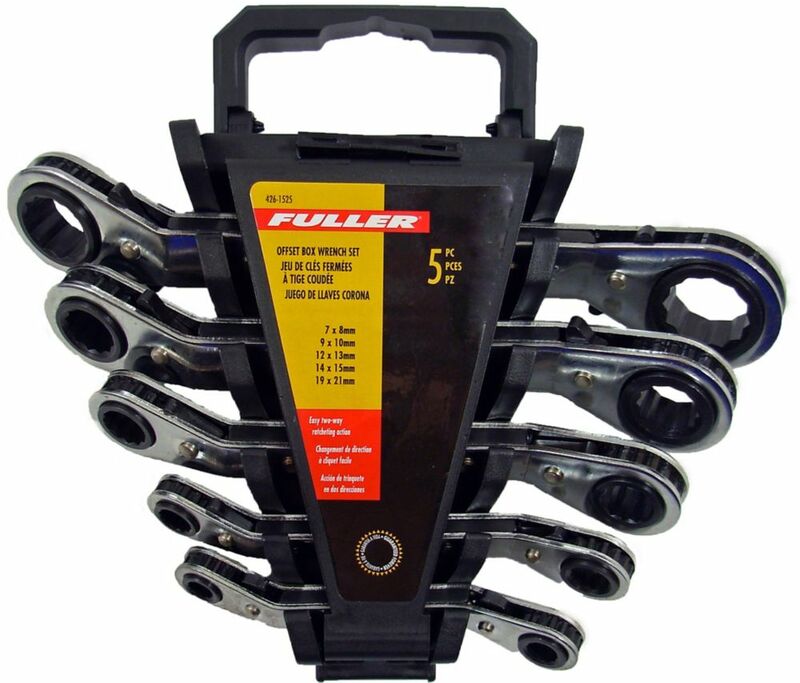 That's why when it comes to tackling your home repair or improvement projects, you'll want this 5-piece offset ratcheting box wrench set in your toolbox. Made from chrome-vanadium steel for long life, and plated in chrome to resist corrosion and grime, this set includes 5 ratcheting double-ended wrenches and 10 standard metric box-end sizes. The handy two-way ratcheting action makes tightening or loosening bolts faster and easier than with standard box end wrenches. What's more, the angled head means no more bruised or cut-up knuckles because it provides greater clearance.